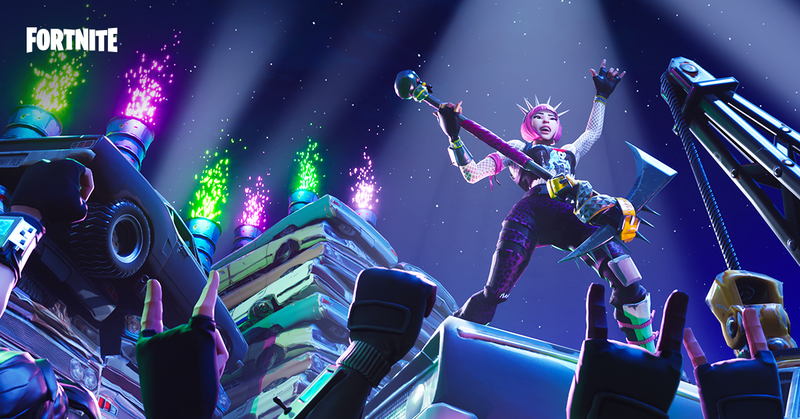 News Roundup #004 covers the latest Fortnite Battle Royale news including Patch V3.3.0, Fortnite on iOS, the Party Royale Celebrity Pro-Am, and more. Patch V3.3.0 was deployed on Thursday. The latest update adds Remote Explosives and Supply Llamas to Battle Royale as well as Xbox One cross-play. Official teaser for the latest addition to #Fortnite: Remote Explosives! Extremely rare – only 3 per match. Contains: 500 Wood/Stone/Metal, 10 stacks of each ammo type, 3 traps and consumables. The first version of mobile Fortnite has been released on the iOS App Store. The event is still invite-only as Epic Games are gradually sending out invitations. To participate, you’ll need an iPhone 6S/SE, iPad Mini 4, iPad Pro, iPad Air 2, iPad 2017 devices or later. >> Haven’t signed up yet? Find out more with our complete Fortnite iOS Event Overview. Late Wednesday night, rapper Drake teamed up with popular streamer Ninja for a few games of Battle Royale. Fellow rapper Travis Scott and NFL player JuJu Smith-Schuster also joined in the fun a few moments later. The event garnered more than 625,000 concurrent viewers at its peak, shattering the previous record of 388,000 viewers set by Dr DisRespect. Are you on Discord? Come hang out on the LootLake.net Discord server!